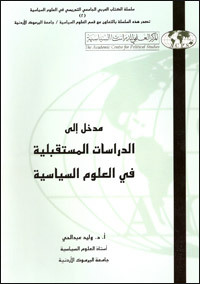 In light of the rapid change in contemporary societies, consistently states and international and regional institutions, especially in the West to try to develop their knowledge of the future of the phenomena of political, economic and social as well as technical areas in a scientific manner. Became a field science, "future studies" in developed countries and their universities and institutions is part of the operations strategic decision-making. Two-thirds of future studies carried out by the military institutions and multinational corporations, and 97% of spending on these studies are in developed countries, while the third world spends only 3%. In the Arab world, the "future studies" field, which is characterized by weak interest in addition to the non-scientific form. 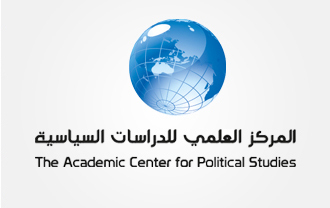 Hence the initiative of the Scientific Center for Political Studies to develop interest in the Arab world in this field, especially on the level of academic and student, future generations, and the importance of this knowledge of the future play a pivotal role in the formulation of the strategic future of the Arab world and its development. This book deals with "Future studies in political science" of several topics, including: the definition of what future studies and development, then the definition of the most important techniques to predict future studies such as inductive, building scenarios, Cupboard receptors, ... and others. Then the book refers to future studies scholars and the most important achievements. Finally, the book addresses future studies Empirical studies, including future international, and other Arab future studies, in addition to studying scenarios for the future of the Islamic world. This book represents a scientific Add rare in the field of future studies of the Arabic library, and is the author of one of the most important pioneers of the Arab world in this field.